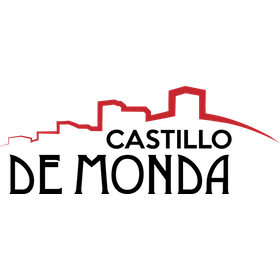 Looking for things to do in Monda and the surrounding areas? 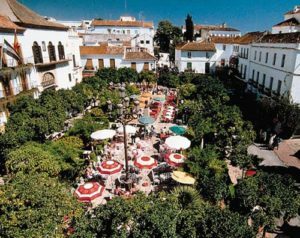 Andalusia is known for its rich culture, historic towns and traditional white villages. Vibrant cities like Córdoba and Granada are an ideal destination for a day trip. The cultural university town of Málaga is only half an hour away, while Marbella with its beautiful old town and beaches can be reached in 15 minutes. Near the hotel you’ll find several golf courses. Castillo de Monda is also the perfect location for hiking or cycling. It is located in the nature reserve ‘Sierra de las Nieves’ and in wintertime even a day trip skiing to the Sierra Nevada could be an option! Monda is the romantic Spain of literature and art. It is hard to find a place that so effortlessly combines old world charm and tranquility while also offering easy access to bustling modernity. Discover the welcome that’s waiting for you in Monda! There are many things to do in the Monda and the surrounding villages. Monda has a small central village square, Plaza de la Ermita, with the Monument to the Miner and some interesting bars. Just outside the square, on Calle de la Jaula (the A-7010 road to Guaro) is the preserved municipal lavadero and the popular Bar Luna and Bodega de la Plazolete. 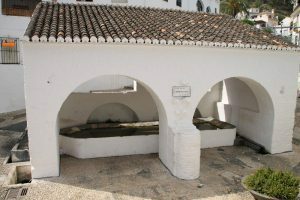 Fuente Lavadero de la Jaula is the town fountain and roofed lavadero (public laundry area), once a focus for social exchange, which dates from the 16th century. 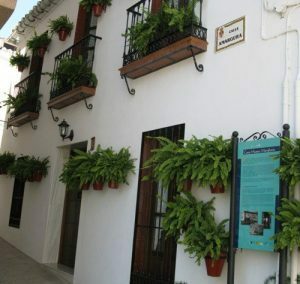 This rural museum is in a typical village house, decorated in the style of the early 20th century (c/ Amargura 2, near Plaza de Andalucia). On display are tools, household objects and stoves that were used by the labourer. The owner of the house turned it into a museum and happily for us, remains open to this day; there is no admission fee to visit. 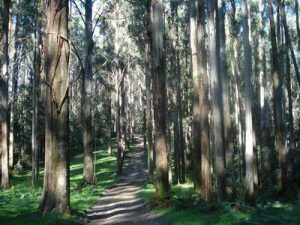 Nature lovers and avid hikers will enjoy walking in the Sierra de las Nieves nature park that is a picturesque wilderness of flora and fauna and there are many walking routes of interest. 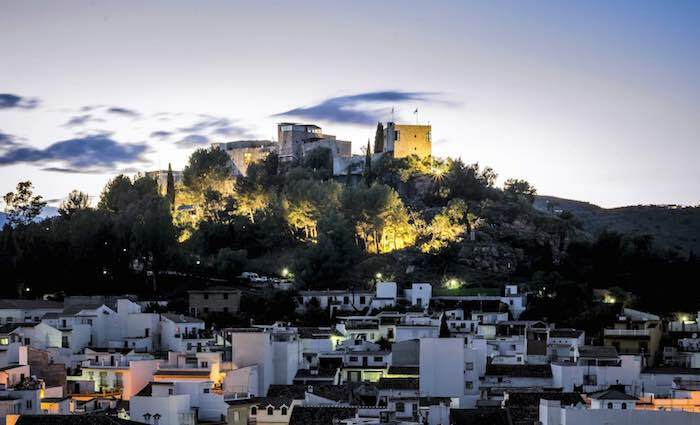 The Castillo de Monda has been the main attraction of the village for some time, but venture out into its streets and you’ll find a place bustling with Andalusian charm and excellent tapas bars, not forgetting a warmth towards visitors that will ensure you feel like family everywhere you go. 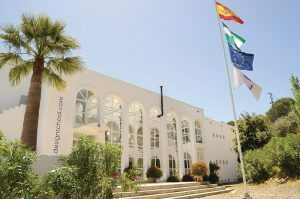 And, now that Marbella Design Academy is based in Monda, the influx of international students has added a youthful, more cosmopolitan vibe to Monda. You may find yourself in a bar chatting to an olive oil producer whose family has been in the business for decades at the same time as a future fashion designer. There’s a tale that the traditional Andalusian village of Monda was the scene of the final battle between the armies of Julius Caesar and the supporters of Pompeii. 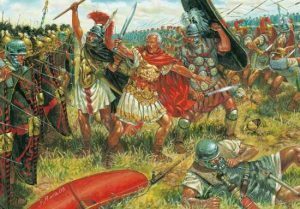 This was the Battle of Munda and while we know that Julius Caesar did visit the Costa del Sol (you can visit his favourite outdoor bathing spot at the Hedionda Roman Baths near Manilva) it is something of a stretch to claim this battle was actually fought in Monda. But, why spoil a good story! The Sierra de las Nieves, an official Biosphere Reserve and Nature Park, is a natural paradise on the doorstep of the Costa del Sol, a few kilometres from Marbella and close to cities like Málaga and Ronda, and we’re proud to say, Castillo de Monda is right in the middle of it all! The nature park is a model of coexistence between man and nature and has been given several awards which recognise its extraordinary values. Some of the awards it has been given are the “European Destinations Excellence” by the European Comission, the “Skäl Award for Sustainable Deveploment in Tourism” and the “European Charter for Sustainable Tourism in Protectd Areas”. The Nature Reserve includes the towns of Alozaina, Casarabonela, El Burgo, Guaro, Istán, Monda, Ojén, Tolox and Yunquera. 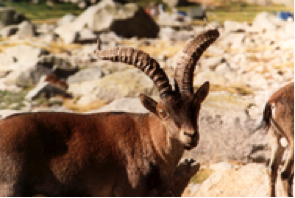 It has plenty of lovely places to visit and it has its own emblem; the botanical star with the ibex & the pinsapo. Any time of the year is good to come to the Sierra de las Nieves, every season brings new colours, scents and sensations, and there is always something new to see. Plus the surrounding villages are often organising events to honour the traditions. You can hire your own private guide to show you around the nature reserve or join one of the many excursions organised by the surrounding towns. Only a few minutes from the Monda Castle you have the chance to visit a true winery in all it’s glory! The Remsamen winery is run by 2 wine enthusiasts who set their winery up back in 2005 and have since grown to a fully functioning winery and bodega. On a trip to this winery you will see the whole process of what it takes to make wine, and of course there is a tasting to be had! The grape variety used in this winery is Chardonnay and is produced naturally without chemicals pesticides or artificial fertilizers. 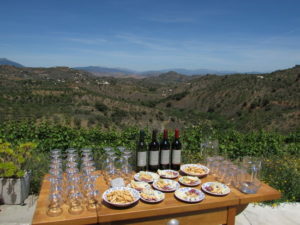 Please contact reception of the hotel to make a booking for a winery tour, or visit their website for more information. El Molino de Monda (The Monda Mill) is an old mill that is still actively making local olive oil. 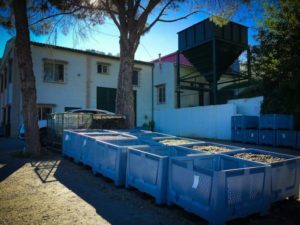 The mill, only a few minutes from the Castle, has been making olive oil since the year 2000 and has become one of the more popular extra virgin olive oil suppliers on the Costa del Sol. At the mil you can see the entire process of making olive oil take place, from picking the olives, ripening them, pressing and packaging them. You even get to try some and if you wish can purchase a small bottle to take home with you. The Olive Mill in Monda is a great place to visit and if you have the time one afternoon, you should definitely have a look! But, if you’re concerned that Monda is just a bit too sleepy and rural, then don’t forget that you are only a 15-minute drive from La Cañada shopping centre that has all the major shops plus a cinema, and the centre of Marbella is only a few more minutes from here. 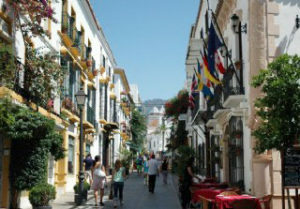 The Old Town of Marbella has a unique appeal and a distinctive Andalusian character. Narrow and white cobbled streets lead to Plaza de Los Naranjos or Orange Square, where the town hall is located. The orange square in its turn gives access to the rest of the quaint old town streets with small shops and traditional whitewashed homes. 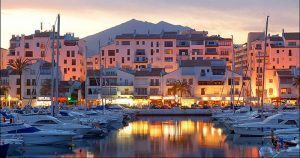 Puerto Banus is located to the west of Marbella, before you reach the small town of San Pedro de Alcantara. A relatively new town on the scene, it was actually developed in the seventies in a beautiful setting within the town of Marbella, by the local developer Jose Banús. The area offers a beautiful setting, with an impressive mountain backdrop and ocean views. Puerto Banus has fast become a mix of jet set playground combined with traditional pubs and bars. Here you can spend hours sipping cocktails, watching the super rich on their luxury yachts and the Ferraris and Lamborghinis drive by. The nightlife in Puerto Banús is only about 20 minutes away when you feel like a club night, and an excellent taxi service is available. 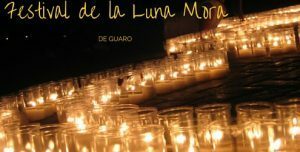 There are horseriding treks available locally and an art studio for guests who would like to try capturing the undulating lanscape around Monda, a local market and nearby Guaro hosts its annual Luna Mora festival every September when the entire village is lit only by candles. This ancient Moorish festival celebrates the Moon and it is an occasion not to be missed. Malaga’s history spans about 2,800 years, making it one of the oldest cities in the world. Malaga has a lot to offer, so do not miss out on a city full of history, that has also been the key important port and trading center in the Mediterranean. Use the hop on/off bus and see everything from exhibits, tapas bars, nightlife, beaches, shopping, the bullring and Castillo de Gibralfaro which towers behind Malaga. This is here where you can see the whole city and out to sea (see picture). The Alcazaba is below the Castillo de Gibralfaro and it has a fantastic view, with many small oases in the great palace/fortress. In Malaga there is a large food market with a huge selection of fresh foods. Don’t forget about Old Town, it is very nice to walk around in and try some of the tapas offered in the local bars. Malaga is also an important city for culture lovers and it has developed an important network of museums. You can find in Malaga the Picasso Museum and his birth house, the Russian Collection of Art, Carmen Thyssen Museum or the Contemporary Art Center Pompidou, among others.